Which photoshoot of Dakota do ya prefer? 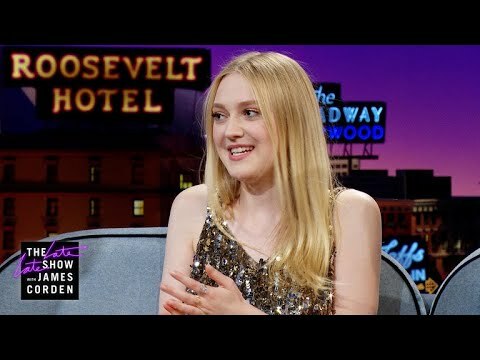 가장 좋아하는 Dakota Fanning movie? Do 당신 think Bella Thorne & Zendaya Are An Better Actess 또는 Dakota!?! Does anyone have any cute "pre-2006" Dakota 사진 that I could use as my 프로필 picture? Dakota Dress Contest, Win props from me! Dakota actually left her house wearing this strange, bold, horrible (?) outfit. We are really not sure just how to define and describe this outfit. She was wearing a brown mini skirt, a black shirt, and a white jacket. That was all OK. But then with the ripped leggings, and the Doc Martens - she looks a bit 더 많이 rocker. But then, on 상단, 맨 위로 of all of this, a crown! She didn't want to wear gloves 또는 a 목걸이 as accessories, but instead a tiara. Like a princess! Dakota Fanning is just about to turn 16 and looking good, decided to pose for V Magazine. No one would guess that the girl pictured here is 16. She looks so much older! Don't 당신 think so? Dakota posed with her hair teased out and an enigmatic look very similar to that of 60's actress Brigitte Bardot. If 당신 look at the two images, 당신 will notice that the two look a lot alike. Introducing Dakota Fanning. A talented actress who we just know won’t go down the same path as so many child stars before her. Dakota is pretty much guaranteed to be the 다음 big thing, and we know this purely from her 연기 ability alone. 당신 probably remember her from I Am Sam and War Of The Worlds- yup, that's right, that gorgeous little girl was Dakota. Autographed Fostergrant Sunglasses from Dakota Fanning!